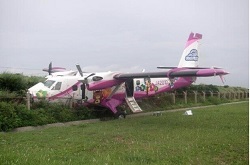 On landing, the Twin Otter veered off the runway coming to rest on the grass. No one on board was harmed. 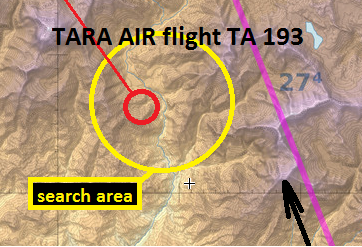 Carrying 23 people, the propeller aircraft went missing on a scheduled flight from Pokhara. 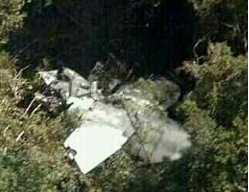 The wreckage was found in jungle in Myagdi District. There were no survivors. On landing, the aircraft ran off the side of the runway coming to rest on the grass. No one on board was hurt. On a routine passenger flight contact to the aircraft has been lost eleven minutes after departure from Masamba. A search and rescue mission is underway. 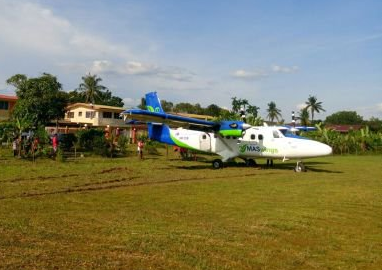 The Twin Otter regional aircraft was found crashed about 7 km northwest of its destination asirport, leaving at least three people dead among them both pilots. On landing at Aguni Island, the aircraft received substantial damage when it veered off the runway.